Now in a Way Huge Smalls housing, the Russian-Pickle Fuzz dishes out smooth, creamy fuzz tones in a much more pedalboard-friendly package. Its got the exact same circuit and controls as the original, so you can keep trembling the earth with the same punchy midrange and fat bottomed thunder. 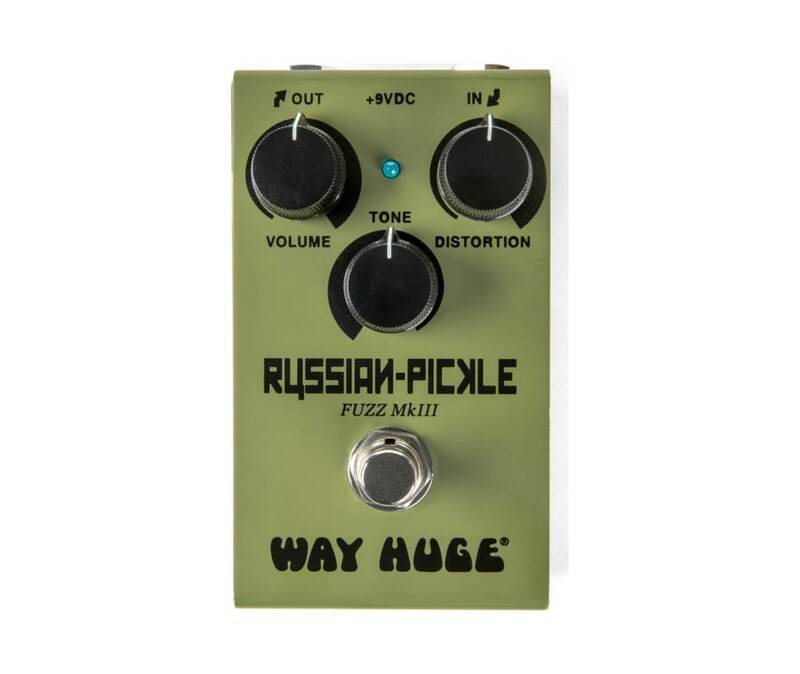 Whether you're going for '90s-era grunge, swinging stoner grooves, or raw two-piece garage rock riffage, the Russian-Pickle Fuzz is the perfect comrade for your pedalboard.